​​​​​​​​For most of the time, DIY projects are straightforward tasks that you could do with on hand materials and tools. However, you should never underestimate their complexity, especially when it comes to sophisticated and large-scale projects. Without careful planning, the final result of your DIY project may be less than ideal or even an outright failure. So in the case that the project involves the use of 2x4s as support frames, you must calculate the loading weight properly. "How much weight can a 2x4 support? ", the answer to that question could be found right here in this article. Take a good look at the information below in order to have a successful and long-lasting project. The lumber grade would tell you most of what you should know to know about the material strength rating and its associated stiffness value. Everything is not created equal so make sure you check out the lumber grade before you use them for your subject. How long will the 2x4s stay loaded? Full-time loading requires careful consideration of the material strength rating (Fb) while stiffness value (E) is generally unaffected. In case you don't know, E relates to the amount of weight that could cause the material to deform while Fb indicates the design strength of the material outermost sections. In the usual case, the most common wood that construction limbers utilize is pine which possesses admirable compression strength and excellent hardness. However, there are different types of pine with different grades so you should research carefully before you start. The weakest pine currently in use is Eastern White pine while the strongest is Slash pine. Usually, the 2x4s would be assembled in a way that matches the project dimension requirement. Nonetheless, whenever it's possible, people tend to go after a simple and robust design instead of complicated ones. A straightforward wooden structure takes little time to plan and fabricate while also allow easy repair if needed. How far can a 2x4 span? 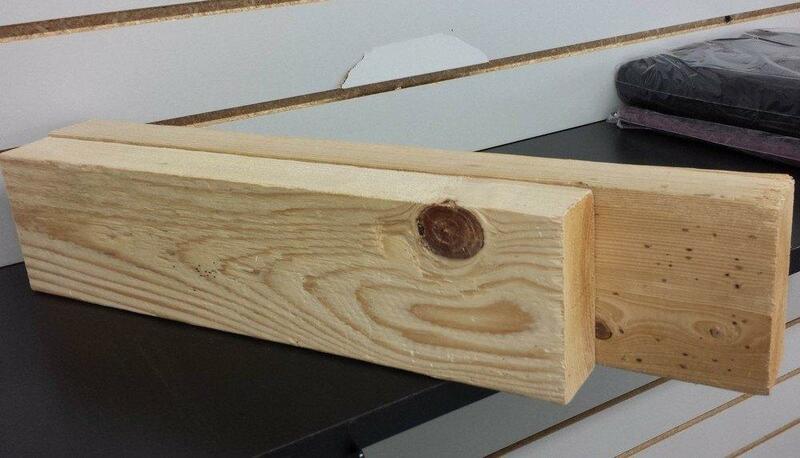 In general, the length of a 2x4 could be as long as 20 feet but you have to consider a couple of issues. At 10 feet, a 2x4 would not sag noticeably under its own weight but it's also unlikely that it could stay completely straight either. In fact, 2x4s may even bow, warp and twist as they dry out. As a result, expect a certain level of distortion and make adjustments to your project design accordingly. 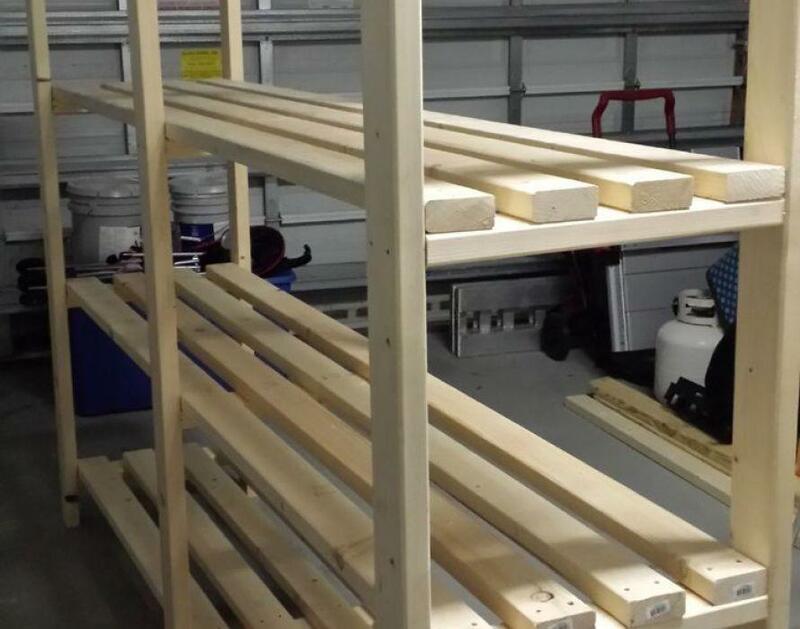 Technically speaking, 2x6s possess better strength and insulation value compared to 2x4s which make them a good choice for remodeling projects. However, the price of 2x6s is considerably higher than 2x4s as well and that mean buying 2x6s is not always an economical investment. Using a well-thought design, a collection of 2x4s could form a structure with excellent integrity without end up costing you a fortune. How much weight can a 2x4 support vertically? Assuming that the load is square and there is no wind, the average 8 feet 2x4 could handle around 1,000 pounds vertically. Of course, it's wise not to push the material up to its limit, use brace and alike to secure the 2x4s whenever it's needed. How much weight can a 2x4 support horizontally? In this case, we have to take into the load position, is it a uniform load or only a point load? For an example, a 10 feet long 2x4 with a 40 pounds uniform load would have a maximum bending moment of 1,000 feet pound. On the other hand, the same 10 feet long 2x4 with a 400 pounds point load should experience a maximum bending moment of 500 feet pound. And that is pretty much it, not too hard to take in, right? "How much weight can a 2x4 support? ", it's a difficult question issue to tackle when you are not an expert in the field. But with the help of this article, you should be able to come up with a close estimate.